It’s time for our annual round-up of New York City holiday activities and entertainment. 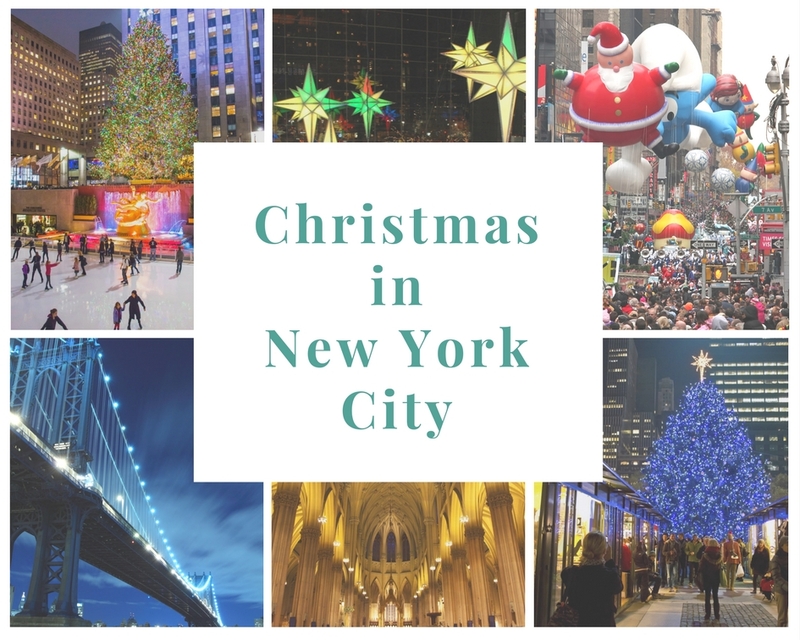 Each year we provide information on some of the best things to do in NYC during the Christmas season. And since this website is all about experiencing the best of NYC for less, we emphasize things to do that are free, inexpensive, or for which discounts are available. We’ll keep this page updated as more information about the 2017 season becomes available. Check additional online event resources such as TimeOut and the Official NYC Guide at nycgo.com to find more events. Dates, hours of operation, and fees should be verified with the official websites. 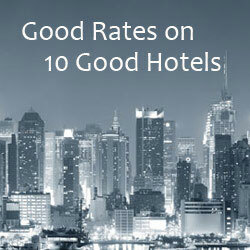 For hotels during the holiday season, try the NYC Deals and NYC Last Minute Deals pages at TripAdvisor. Macy’s Thanksgiving Day Parade – Santa’s arrival at the end of this big Thanksgiving Day parade helps usher in the holiday season. Thousands and thousands of people line the parade route each year to see the bands, floats, and giant balloons go by. The parade is on Thanksgiving Day and the start time is 9:00 a.m.. The parade starts at 77th Street and Central Park West, turns at Columbus Circle onto Central Park South, continues to 6th Avenue, then continues south along 6th Avenue until it gets to the end at 34th Street (Macy’s Herald Square). You can see the Thanksgiving Day Parade balloons inflated outside the American Museum of Natural History on the night before the parade. It’s a great opportunity to see the balloons up close, but lots people show up to see the inflation, so be prepared for lines and crowds. Winter Solstice Celebration at the Cathedral of St. John the Divine – December 14, 15 & 16, 2017. A non-denominational celebration. This event is a contemporary take on ancient solstice rituals, featuring the Paul Winter Consort, and other special guests. 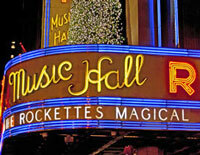 The Nutcracker – There are several productions of The Nutcracker to choose from. 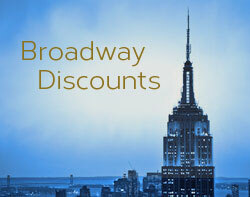 See our guide to productions and discounts. Handel’s Messiah – Enjoy the New York Philharmonic’s performance of this classical masterpiece. Performances are December 12 – 16, 2017 at Lincoln Center. Discount tickets available. Messiah … Refreshed – Enjoy Handel’s Messiah re-orchestrated for full symphony orchestra performed in the beautiful, iconic Carnegie Hall. At the Stern Auditorium, Carnegie Hall, Sunday, November 27th. Discount tickets available. Winter’s Eve at Lincoln Square – November 27, 2017. Annual street festival that stretches along Broadway from the Time Warner Center to 68th Street. There’s lots of free entertainment and performances, plus food tastings from neighborhood restaurants. 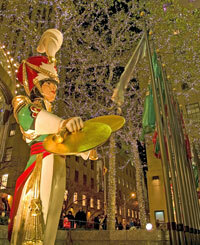 Caroling at Washington Square Park – Christmas Eve caroling under the Washington Square Arch is an annual tradition. The caroling usually starts at 5:00 p.m. but watch for an official announcement on the Washington Square Association website. Holiday Edition of The Ride – Enjoy the sights of New York City from the comfort of The Ride’s high-tech interactive buses with stadium-style seating. The Holiday Edition of The Ride combines sightseeing with holiday-themed street performances. The Rockefeller Center Christmas Tree – This is the big one – and it really is a big tree. The tree, lights and decorations at Rockefeller Center are beautiful and a must-see for any holiday season visit to New York City. The tree lighting event will take place on November 29, 2017 from 7:00 p.m. – 9:00 p.m. The tree stays lit until 11:30 each night until the lights go off at 9:00 p.m. on January 7th, 2018. Free. The Origami Tree at the American Museum of Natural History – November 20, 2017 – January 7, 2018. The holiday tree at the American Museum of Natural History is decorated with a collection of paper-folded origami ornaments. The theme for the ornaments changes each year. It’s a unique and beautiful display. Admission to the museum is free during the last hour of operation each day (4:45 – 5:45), so that’s a good time to visit if you just want to see the tree. Metropolitan Museum Christmas Tree and Neapolitan Baroque Creche – This beautiful tree is decorated with cherubs and angels and a classic Nativity scene is arranged beneath. Lighting ceremonies are held each day, visit the museum website for details. The museum operates on a recommended admission policy, with a recommendation of $25 for adults, $17 for seniors, $12 for students, and free admission for children under 12. Bryant Park Winter Village and Christmas Tree – There’s a big tree next to the skating rink at Bryant Park. The ice skating rink here is free (there’s a charge to rent skates if you don’t have your own). This park also features a very nice holiday market with little shops nestled in between the park’s trees. Bryant Park is located behind the New York Public Library, between 40th and 42nd Streets and Fifth and Sixth Avenues. The 2017 Bryant Park Tree Lighting and Skate-tacular takes place December 1st at 6:00 p.m. Free. Park Avenue Memorial Trees – Fir trees along Park Avenue are lit each year in memory of those who have sacrificed their lives at war. This tradition began in 1946 when a group of Park Avenue families lit trees in honor of those lost in WWII. The Brick Church at the corner of Park Avenue and 91st Street holds a tree lighting ceremony and carol sing on the night of the first Sunday in December. The trees stretch along Park Avenue from 54th to 96th Streets. The 2017 tree lighting date has not yet been announced. Free. The New York Stock Exchange Christmas Tree – A tree has been decorated in front of the NYSE each year since 1923. The Stock Exchange Christmas Tree is located on Broad Street, between Wall Street and Exchange Place. The 2017 tree lighting ceremony is November 30th. Free. Washington Square Park Christmas Tree – This tree has a spectacular location, right at the foot of the iconic Washington Square Arch. The park is located at the foot of Fifth Avenue in the Greenwich Village neighborhood. Washington Square Park also has a popular holiday market. Free. Lincoln Center Christmas Tree – There’s always a nice holiday tree in the plaza in front of Lincoln Center. It’s a pretty setting with the fountain and Lincoln Center’s lighted architecture in the background. While you’re in the neighborhood, pay a visit to the Lincoln Center’s David Rubenstein Atrium, located on Broadway between 62nd and 63rd Streets. This public space is open until 10:00 nightly, has free wifi, restrooms, a cafe, free music on Thursdays, and is the box office for discount tickets to same-week performances at Lincoln Center venues. Free. 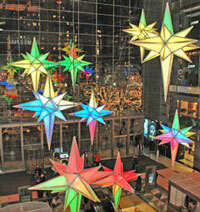 Holiday Under the Stars at The Time Warner Center – Twelve large stars suspended from the ceiling of the Time Warner Center atrium shift colors in a display choreographed to holiday music. The Time Warner Center is located across from Columbus Circle, where you’ll find an outdoor holiday market. Free. South Street Seaport Tree and Ice Rink. There’s a Christmas tree and ice skating rink each year at Fulton Street, between Water and South Streets. Holiday Train Show at the New York Botanical Gardens – November 22, 2017 – January 15, 2018. Think train shows aren’t your thing? You might want to re-think that. This train show is special. Trains run around a landscape of real plants and detailed replicas of New York City’s landmarks, created completely out of natural plant material. 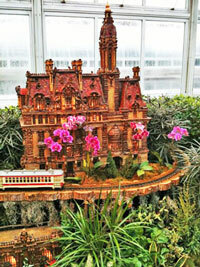 It all takes place in the nice warm conservatory building of the New York Botanical Gardens. There are special adults-only Bar Car Nights with entertainment and holiday cocktails. Store Window Holiday Displays – Elaborate holiday window displays are a long-standing tradition in New York City. Macy’s, Saks, Lord & Taylor, Tiffany, Bergdorf Goodman, and Bloomingdale’s are some of the best. If you’re traveling with children, see Mommy Poppins’ “NYC Holiday Windows Walk 2013: Seeing Department Store Christmas Displays with Kids” for good information and photos. And don’t just look in the windows at Macy’s, the interior of the store has great decorations, including the famous Santaland. The Rink at Rockefeller Center – This is the most famous, and most crowded of the city’s skating rinks. If it’s always been your dream to skate at Rockefeller Center, you show go for it. And if you’re not much of a skater, the rink and surrounding decorations are still something worth seeing. The rink opened for the 2017 season on October 11th. 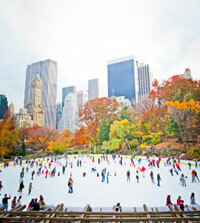 Wollman Rink in Central Park – This is probably the second most famous ice rink in the city. It’s a large rink located near the southern entrance to Central Park, where the city’s skyline provides a picturesque background. Try to go during the week when the rink is less crowded and the fees are lower. Wollman Rink opened for the 2017 season on October 21st. Bryant Park Ice Skating – Skating at Bryant Park is free, although if you don’t have your own skates, there is a skate rental fee. The 170′ x 100′ rink here is smaller than the one a Central Park, but larger than the rink at Rockefeller Center. The park also has a nice holiday market. Bryant Park is located right behind the Main Branch of the New York Public Library, so you can stop by there to see the tree in Astor Hall and the wreaths decorating the lion statues at the entrance. The Bryant Park rink opened for the 2017 season on October 28th. The Holiday Shops at Bryant Park – October 28, 2017 – January 2, 2018. 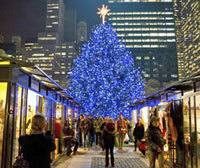 The glass-enclosed structures that house the shops at the Bryant Park holiday market allow shoppers an opportunity to get out of the cold and the glass shops nestled among the park’s trees make for the very pretty setting. There are over a hundred little boutique-type shops set up along the park’s pathways. Bryant Park also has a skating rink and large Christmas tree here. Columbus Circle Holiday Market – November 28 – December 24, 2017. This outdoor market has a great location, right at the southern end of Central Park. Combine shopping here with a trip to nearby Wollman Rink in Central Park or the lights display in the Time Warner Center. Union Square Holiday Market – November 16 – December 24, 2017. Vendors of gift and food items sell their wares from temporary outdoor stalls topped with red & white striped awnings. The scene at this popular market is reminiscent of European Christmas markets. Located in Union Square Park, Greenwich Village. Grand Central Holiday Fair – November 13 – December 24, 2017. Grand Central’s indoor holiday market is a good way to escape from the cold. About 40 vendors sell a variety of goods in Vanderbilt Hall.